…bamboo. 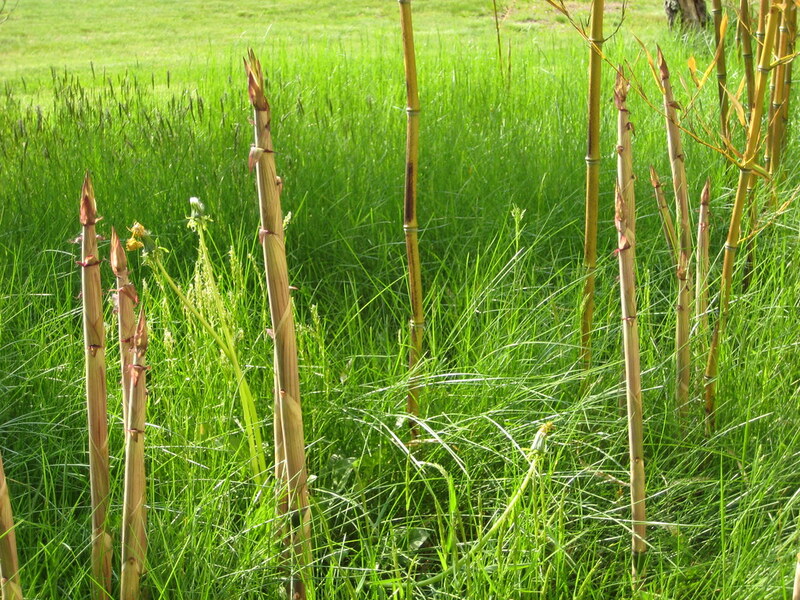 Phyllostachys aureosulcata to be precise – a picture of the the new growth – I’m trying to get a grove established in the side yard. Once it’s really going it’ll shade the house from afternoon sun, block headlights as they come around a corner up the road a bit, and act as a windbreak in the winter. Very useful – even before I start harvesting shoots and messing around with the wood. This entry was posted in plants by dr.hypercube. Bookmark the permalink. Is this the non-speading kind? Is that a myth? No, this is a runner. I control what direction it grows in by harvesting shoots, transplanting and mowing around it. I want a pretty big grove, and it’s right at the northern edge of it’s hardiness zone so I don’t have the problems folks just a little to the south do w/ invasiveness. 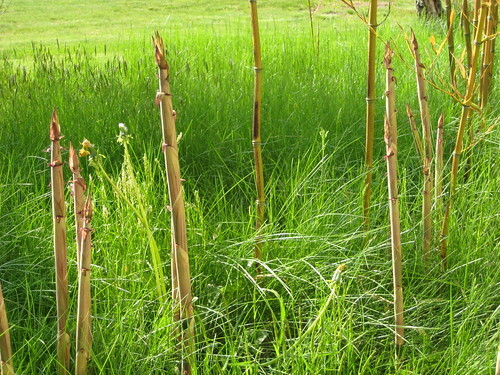 There are clumping bamboos – they can be gorgeous – can also be a little more expensive. I got my plant from these folks – there’s a lot of info on their site. …also – the baseball cards are killer! I’ll probably just grab some from across the street – there’s a forest of it there. I met a guy who sank corrugated fiberglass panels to control growth, but with sketchy results……..
Glad you liked the cards. I may do more.